And I’m glad I did. They were awesome. Mason and Layla are both 8-years-old and they write and draw their own stories. 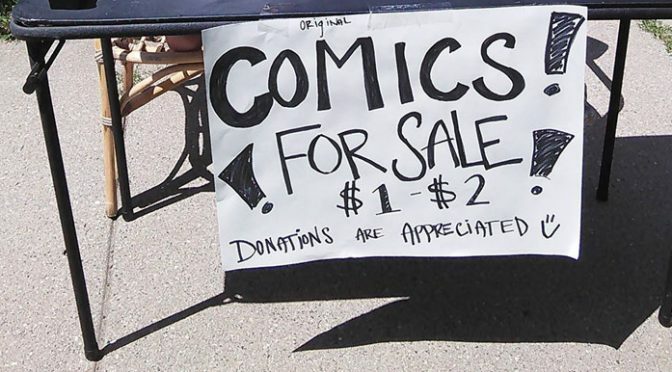 They were selling the comics to make money for summer fun (when they closed down the stand they had enough to go to the pool!). Sometimes we make the mistake of telling kids, “You’re too young.” That’s crazy. You can get started any time. It doesn’t have to be a masterpiece, you can create something cool. And that’s awesome. I wrote my first book (Mike, The Cat) in first grade. My daughter and I wrote a book together (The Stephanies) when she was six. Both of my kids like to write these long, intricate stories (and I didn’t push them into it or encourage them—they did it on their own). Kids being creative is pretty awesome. So keep it up. 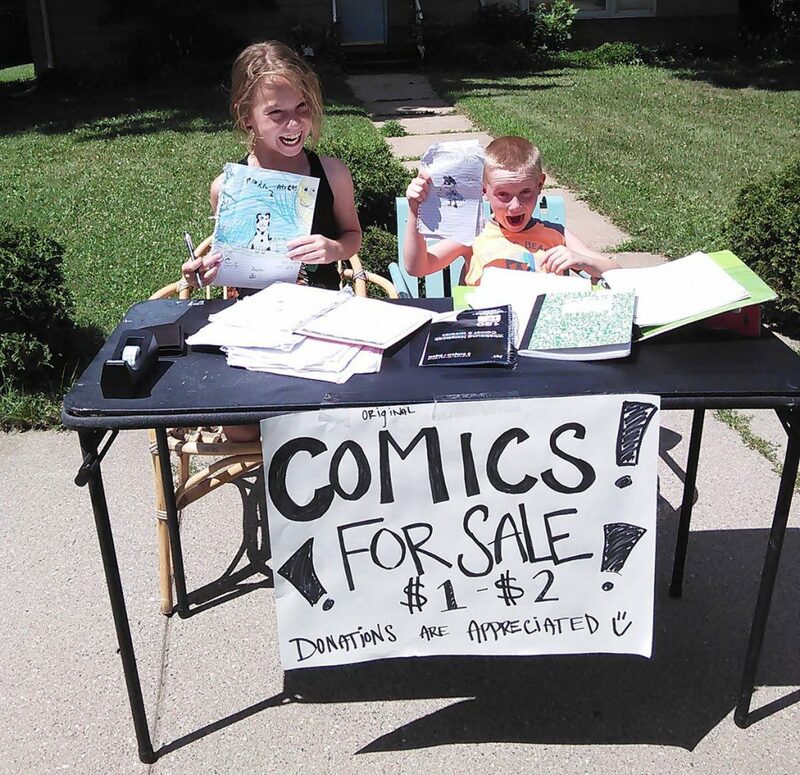 I hope to see more from Layla and Mason and their comic book stand, and I hope they inspire other kids to create amazing stuff. Previous PostDavid Meisinger Should Never Hold Public Office AgainNext PostPride Flags: Where Do West St. Paul Ward 3 City Council Candidates Stand?